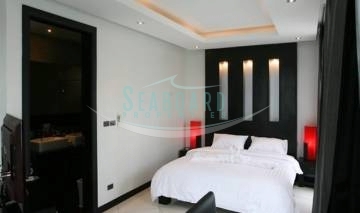 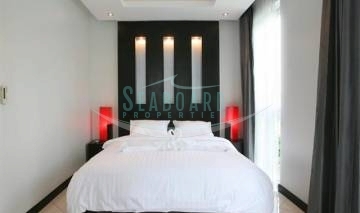 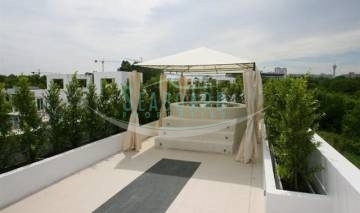 is located in Jomtien and is a new upscale, private development in a gated community. 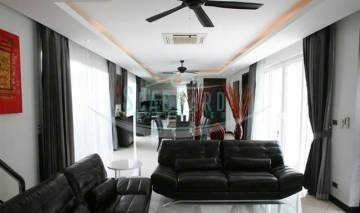 The development is only a short few minutes drive to Jomtien beach, has very good security, CCTV and very well maintained. 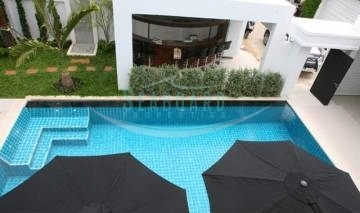 The outside area boasts a private swimming pool and garden area with sun lounge space, water features and private secure parking with electric gates. 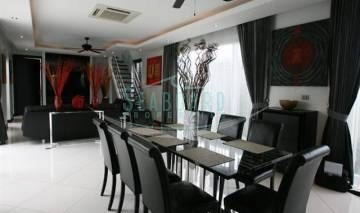 Furnished to a high quality western standard the house has a modern fully functional European kitchen with 5 bedrooms and 6 bathrooms, master with Jacuzzi for 2. 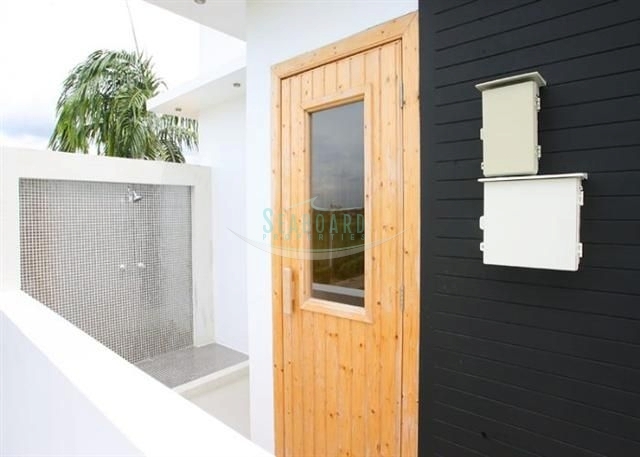 A roof top Jacuzzi and BBQ area with stunning views of Pattaya city and surrounding areas give this beautiful house an extra touch of luxury. 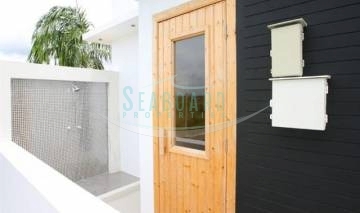 There is also a sauna included and parking space for 2 cars. 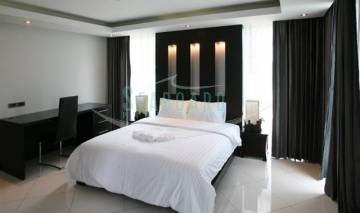 It is offered for Sale at 28,000,000 THB fully furnished. 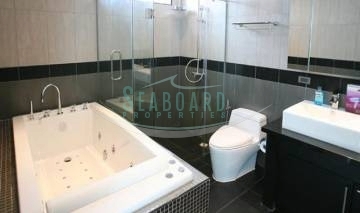 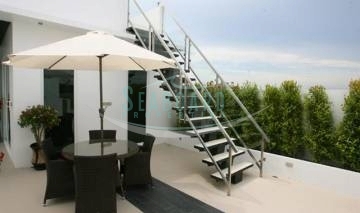 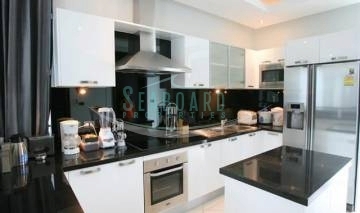 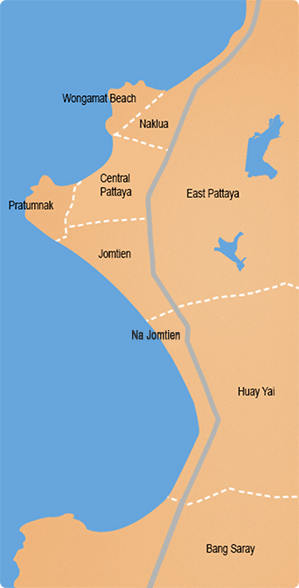 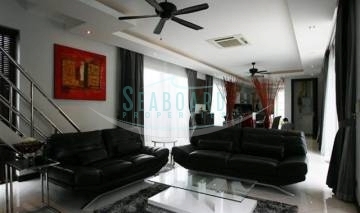 Other houses for sale in Jomtien from Seaboard Properties.